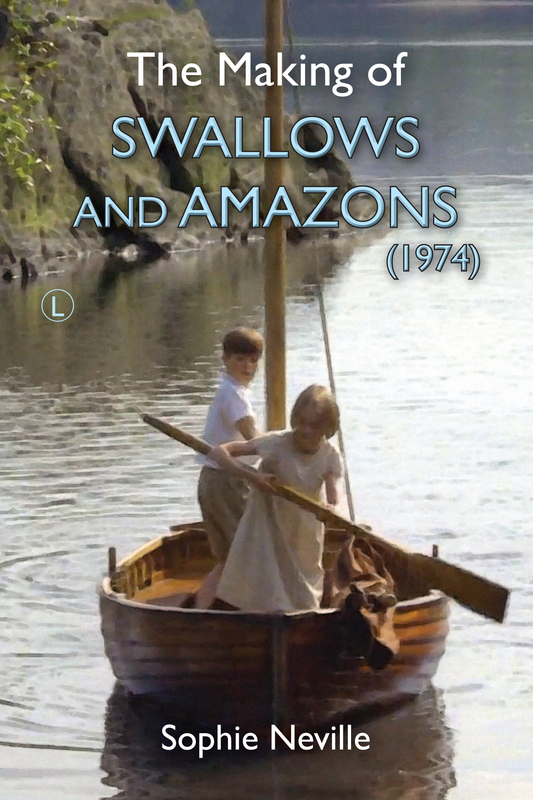 What do children of today think of ‘SWALLOWS & AMAZONS’ (1974)? My mother had found a purple suede Donny Osmond hat. Amazing. We were shivering, wearing our costumes in London to promote the film of Arthur Ransome’s book ‘Swallows and Amazons’ produced by Richard Pilbrow back in 1973 and released by EMI in April 1974. It’s forty years since we went up for a sailing weekend at Burnham-on-Crouch to audition for the parts. What do children of today think of the story – of the DVD of the movie we made back in 1973? Into Film say it is one of their ‘most popular titles’. A double helping of nostalgia For adults, this DVD is a double scoop of nostalgia – for the original Swallows and Amazons books and the era they were set in and for the 1970s when this film was made. The film is a pretty good adaptation of the book, with just a few incidents omitted, such as the final stormy night on the island. The actors, child and adult, are well-cast. Seeing Virginia McKenna again recalls films of the 1960s such as ‘Born Free’ and ‘Ring of Bright Water’. Please add your views in the Comments box below. It’s funny I guess, but I haven’t seen the Swallows and Amazons movie..yet. But I sailed with my Dad in a dinghy (a bit like ‘Flash’ in Coot Club) he built in our backyard – we started racing in 1972, a year before the movie. I’ve read & re-read throughout my life the Swallows and Amazons books for comfort and solace. Any now I’m reading ‘Swallows and Amazons’ to my 6 year old son at night. We’ve sailed as a family in a variety of small to medium sized boats (including camping and sailing on a small boat), and finally, finally, Max (my son) and I are going to build a small 12 foot boat of our own. Good to hear from you Richard. I know ‘Swallows & Amazons’ was broadcast in Australia twice last year. You could always write in to your local TV Station and ask them to show it. But, perhpas, if you have read the books so mmnay times it might be best if you never see it. Keep reading. Anna has tweeted from Cumbria to say ‘My daughter & niece, aged 7 & 5, absolutley LOVE it, one of their favourites. I’m a 28-year-old child, and I think it’s one of the greatest kids’ movies ever made. When I have children of my own, it’ll definitely be one I show to them, along with Dumbo and Monsters, Inc.
We went to see Dumbo at the cinema in Ambleside when we were filming in 1973 – I cried and cried! It’s lovely to read elsewhere on the site that you enjoyed working with Wendy Hiller. She was such an incredible actress. Only briefly. I was rather scared of her! I grew up on the Swallows and Amazons books.The film came just too late for my children but I have watched it over and over with my grandchildren and I hope they will share it with their children one day. It captures the happy, innocent days of childhood. Thank you. Wonderful that you are celebrating 40 years. I’m so glad you are enjoying the blog. Hopefully it might inspire other children to keep a diary. You must think of taking your grandchildren to sail the Nancy Blackett or Swallow. It’s hugely confidence boosting and great fun.